According to the minister, the social standards, salaries and the level of medical services in Crimea grew sharply in the past year. "Salaries of the non-socially protected segments of the population increased significantly – of teachers, of doctors, benefits for those unable to work grew significantly, for the disabled, retirement pensions saw a serious increase," Polonsky said, adding that "the real level of salaries increased almost by 20 percent." The minister stressed that Ukraine had repeatedly promised to improve the health care system in Crimea, but it "was never functional." Now that Crimea is part of Russia, "real, free health care finally started working," Polonsky said. Polonsky concluded that in the last year, Crimea accomplished "something that was not done not only in the past few decades, but centuries." 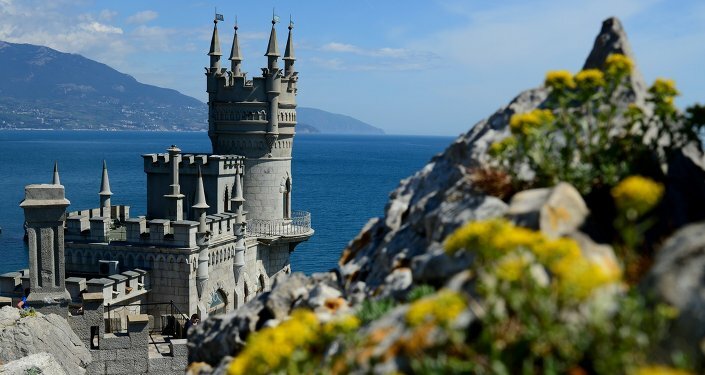 The economic embargo imposed against Crimea by the West is having a reverse effect, boosting development on the peninsula, Dmitry Polonsky told Sputnik. “Presently we can say that the sanctions are not impeding the Crimean economy hardly at all, on the contrary, they only give it the chance to grow because all of these difficulties make us review, reformat the economy, as well as start implementing modern methods and modern systematic approaches,” Polonsky said. 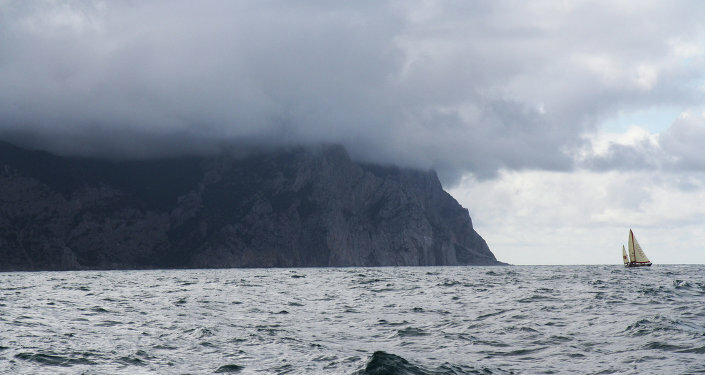 According to Crimea's Internal Policy, Information and Mass Communications Minister, the economic difficulties that Crimea is experiencing are a chance for modernization and the Russian republic has been using this chance “rather successfully,” developing its tourism, pharmaceuticals, agriculture and IT (information technology) industries and reducing its dependence on imports. Polonsky told Sputnik that if Crimea accomplishes all tasks put forward in its current development plan, it will be able to provide for itself in five years, which will make it easier for the republic to achieve its broader goals. “Our target is much broader than this, we do not want to provide just for ourselves, we want to export products that we have produced, and not just agricultural products, but also industrial products and technological products. We want to export these products abroad,” Polonsky said. The minister expressed confidence that with Russian support, Crimea will succeed in accomplishing its economic development objectives. 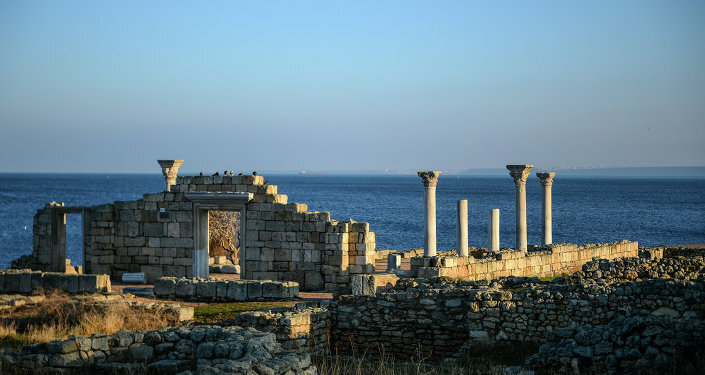 Russian President Vladimir Putin signed a federal law on the development of the Crimea Federal District and a free economic zone on the territory of the Republic of Crimea and Sevastopol on November 29, 2014. Polonsky told Sputnik that the law, which will be in force for the next 25 years, establishes a "serious foundation for further intensive development" of the Crimean economy. 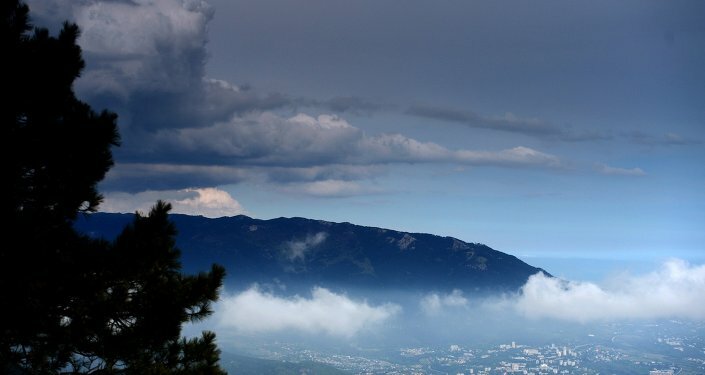 Investors from India are currently contemplating several projects in the sphere of pharmaceuticals in the Republic of Crimea, Dmitry Polonsky told Sputnik. According to Polonsky, Crimea has been benefiting from the strong friendly ties between Russia and India. The minister mentioned that the free economic zone in Crimea provides very profitable conditions for Indian business. 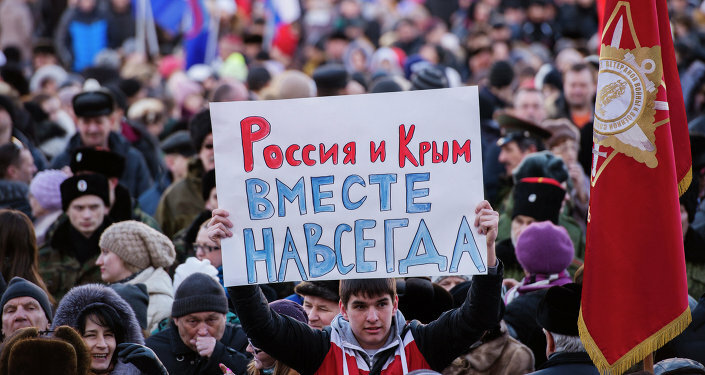 An overwhelming majority of Crimean residents have not changed their minds about becoming part of Russia more than a year after the historic reunification, the Deputy Chairman of the Council of Ministers of Crimea said in an interview with Sputnik. "More than 90 percent of Crimeans support becoming a part of Russia with their hearts and now with their minds, as they did a year ago," Polonsky said, adding that Crimean authorities were "very pleasantly surprised" when sociological research showed that the same number of Crimean residents who voted for reunification with Russia confirmed their choice at the end of 2014. According to Polonsky, the March 2014 referendum was conducted "in the most open way." "We had monitors from more than 100 countries present. More than 2,500 journalists were registered in Crimea. Such openness as we have demonstrated during the referendum was not seen in the world for a long time," the minister stressed. Western countries need to focus on human rights violations taking place in Europe and the United States, instead of spreading false reports about the Republic of Crimea, Dmitry Polonsky told Sputnik in an interview. According to Polonsky, international missions come to the republic to "perform strict tasks and objectives of the western countries that don't accept the events in Crimea." "They openly lie in their reports, and those so-called international missions, using human rights as a disguise, clearly ignore human rights violations in the western countries," Polonsky said. The minister stressed that Crimea welcomes everyone, but it is vital that international missions make an effort to understand and then report the truth after they visit the republic. "Therefore, let them look at themselves and be self-critical, and then come to us and give us advice on how we should live," Polonsky said, adding that authorities of the "so-called civilized countries" do not apply the same human rights criteria for their own populace.He recalled last year's police shooting of an unarmed black teenager in Ferguson and the following nation-wide anti-police brutality protests in the United States. According to the official, the human rights situation in Crimea, particularly in the inter-ethnic sphere, is stable. Polonsky emphasized that the language of the Crimean Tatar minority group has an official status in the republic's constitution, alongside Russian and Ukrainian. "Crimean Tatars are a full, integral part of the Crimean society," Polonsky said, pointing out that President Vladimir Putin signed a decree on the rehabilitation of Crimean Tatars, as well as other ethnic minorities, who were deported from Crimea by Joseph Stalin in 1944. "The Crimean Tatars fought for this for quite a long time on the Ukrainian territory, but did not get what they desired," Polonsky said, stressing that now that Crimea is part of Russia, there are no infringements related to nationality on the peninsula "and never will be." At the opening of a UN Human Rights Council session earlier this month, a number of countries, including Denmark, Austria, Poland and Latvia as well as the European Union's top diplomat Federica Mogherini, criticized Russia for alleged violations of the rights of Crimean Tatars and for illegally "annexing a part of Ukrainian territory." Representatives of the Russian delegation at the event reminded the council that the March 16, 2014 referendum in Crimea was legal and democratic. On Monday, Russian Foreign Ministry spokesman Alexander Lukashevich said that while EU officials claim residents of Crimea, especially Crimean Tatars, are subject to human rights abuses, the European Union itself is restricting the freedom of Crimeans, by closing consulates and visa centers of the EU member states on the peninsula. Crimea adopted a declaration of independence from Ukraine on March 11, 2014, after a coup in Kiev. On March 16, 2014, some 96 percent of Crimean voters chose to rejoin Russia in a referendum. 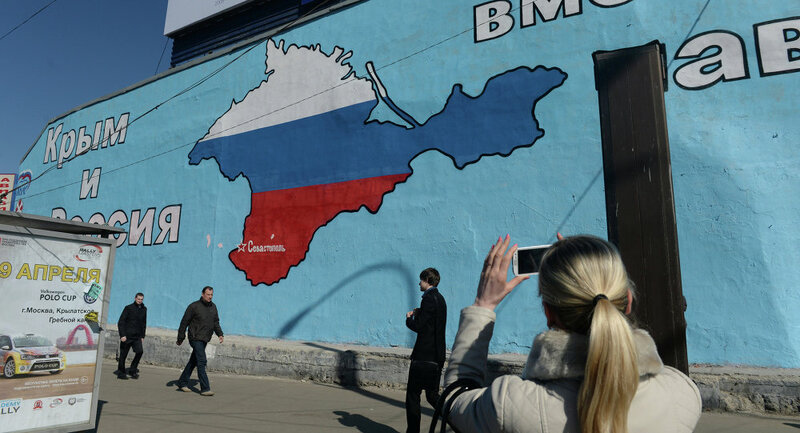 The West and Kiev refused to recognize Crimea as part of Russia, arguing that the March 2014 referendum was illegal and violated Ukraine's territorial integrity. In a speech following the referendum, Russian President Vladimir Putin pointed out that it was held in full compliance with democratic procedures and international rule of law.